Seeking to improve your career opportunities? Wanting to reconnect with your heritage? Passionate about learning a new language? 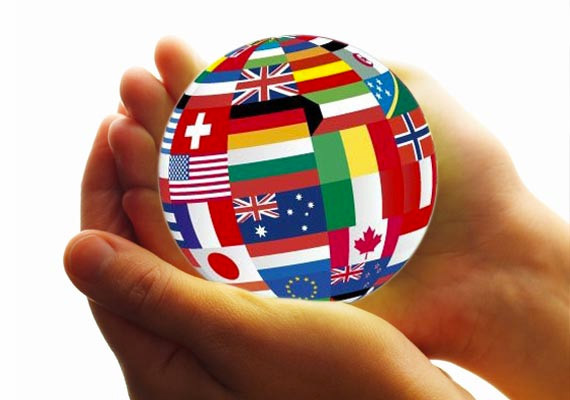 Cultural Confidence provides customized language training for individuals and businesses. Our team of professional language trainers will customize a program to meet your needs, schedule, learning style and goals. Our commitment to quality, flexible delivery and engaging approach ensure to provide you with an exceptional language-learning experience. EXPAND YOUR HORIZONS. ENYOY THE JOURNEY. GERMAN · ITALIAN · SPANISH · PORTUGUESE · JAPANESE · ESL · AND MORE! “Anna Katrina of Cultural Confidence was hired by Rotary District 5870 to provide our communication professionals of the Study Exchange Team with Italian language training as well as with a cultural orientation for Northeast Italy. “My Spanish lessons with Vanessa of Cultural Confidence have been such a blessing to me. They were tailored to my needs for my mission trip and thanks to the effective on-on-one setting, I have learned a lot in a short amount of time. “There are teachers who simply instruct and then there are those you look forward to seeing every lesson. I have been studying German with Anna Katrina Davey for several months and she has made learning a new and difficult language a wonderful experience. With a positive attitude and an encouraging teaching style, Anna Katrina makes time fly even while studying tedious grammatical nuances and sentence structures. You can tell she truly loves the language and culture of the country you are about to visit, which translates into a truly enriching learning experience. My lessons focus on language skills, but as a cross-cultural expert, Anna Katrina has also educated me on the country I am moving to. I will arrive in Germany not only with the ability to speak the language, but also with an understanding of the people, customs and idiosyncrasies that are unique to the country. I highly recommend her as an educator for anybody who is ready to learn a new language and more about the world, whether for professional or personal reasons. “I have attempted to learn German at various times in my life with very little success. Boredom, scheduling issues, and finally the resignation that ‘I just wasn’t good at languages’ kept me from getting very far. In traditional classes if you don’t understand a concept, the class keeps moving on – leaving you frustrated and discouraged. On the other hand, time is often taken up with things you already understand. I LOVE my classes with Anna Katrina! I can honestly say that so far I’ve learned more with her than through all other attempts combined. Anna Katrina is very good at seeing where you’re having problems, taking a step back and going over it until you’re confident again. There is simply no substitute to a class geared toward YOU – your strengths, your learning style, your goals, and your time limitations.